Comments Off on Switching codes: Is it about to get a whole lot easier? For many years, fight fans had two choices: wrestling or boxing. The situation was the same for the fighters themselves. Those wishing to earn their living on the canvas had to choose from one of the two codes available, and because of the difference in skill sets required, the choice was very often an easy one to make. That has very much changed now with the relatively recent arrival of MMA, and in particular the UFC. The UFC has muddied the waters, sitting in between the two, not only giving a further choice but also offering the exciting prospect of crossovers. In the UFC, particularly at the top end, there is money to be made. A lot of money. It is little wonder therefore that it is such an attractive option for those who have made a name for themselves in the WWE to use that name to jump straight into the big money fights in the octagon. But how easy is the transition, who has tried it, how did they fare and who is likely to make the switch in the coming months and years? The obvious place to start is with CM Punk. It was back in 2014 when it was first announced the wrestling star – real name Phil Brooks – would be fighting in the UFC. However, it has been far from plain sailing ever since for one of the longest reigning champion in WWE history. After requiring surgery for a shoulder injury, and a series of less than impressive open sparring sessions, the most recent setback came earlier this year when Brooks needed to have further surgery on a herniated disc injury he suffered during his WWE career. An opponent has been chosen, with a tentative date set for June or July, where he would fight on either the UFC 199 or UFC 200 cards, but it is far from clear if Brooks will be ready for a fight this summer, or even if he will ever fight for the UFC at all. If CM Punk does achieve success at mixed martial arts, he will certainly be in the minority. A lot have tried it, but very few have made any impact at all. In fact, the vast majority of those who cross over don’t notch up more than the one fight. Examples of those who have tried it once and then decided it wasn’t actually for them include Dave Bautista, Rodney Begnaud, Scott Bigelow, Nathan Jones, Kid Kash, Taka Michinoku, Nick Mitchell and Steve Williams. The likes of Bobby Lashley, Ikuhisa Minowa, Sean O’Haire and Daniel Puder fared better, at least making a career at their new discipline. There have of course been 2 instances when those who made the switch found great success: Dan Severn was the first person to win a UFC belt, and is a hall of famer. He won a staggering 101 fights and is the only person to hold belts at both wrestling and MMA at the same time. Brock Lesnar also took the transition in his stride. The youngest WWE champion in history left in 2004 and after fighting in Japan joined the UFC where he promptly won the heavyweight belt before returning to the WWE where he now once again plies his trade. There have been fewer instances where people have moved from MMA to the world of professional wrestling, but in general those that have switched have met with success. Alberto Del Rio had a fairly successful MMA career before joining and becoming champion in the WWE. Ken Shamrock successfully combined a career in both codes, headlining 15 UFC cards while also picking up the Intercontinental and Tag Team championships and the 1998 King of the Ring tournament. Things could very well become a lot more interesting however, if rumors and social media are to be believed. Daniel Cormier, who is taking on odds-on favorite Jon Jones in their long awaited rematch on the 10th July for the light heavyweight UFC belt is a huge WWE fan. A longtime admirer of Seth Williams, he even has a WWE move named after him – the Daniel Cormier Driver or DCD for short. It would be no surprise at all if he was to feature at some point on a WWE bill. He may not be alone either. Former UFC bantamweight champion Ronda Rousey is said to be keen to get involved once again with professional wrestling. Rousey – who is also trying to get her acting career off the ground with a role in the recent Furious 7 – is unlikely to fight for the UFC this year after her devastating defeat at the hands – and feet – of Holly Holm last year, and is weighing up all her options. It is a distinct possibility, after her appearance at WrestleMania 31, that her next fight may well be in the WWE. The person that could set all these possibilities – and more – into motion however may be Conor McGregor. 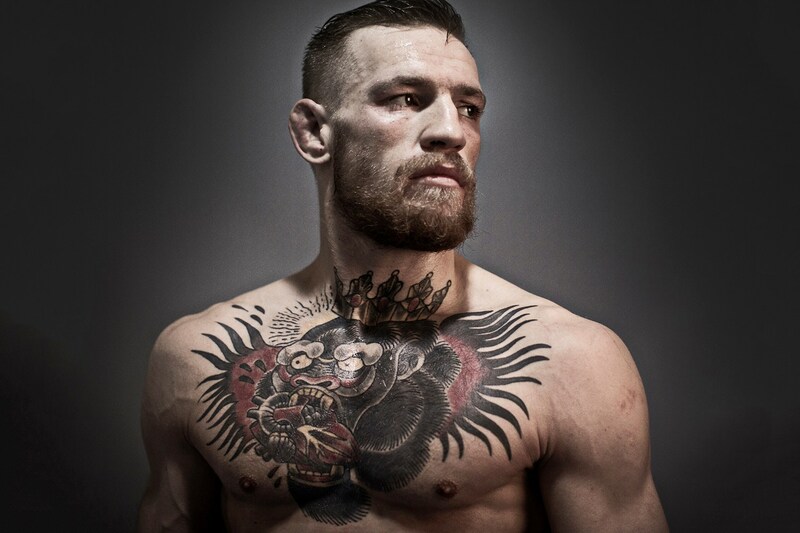 The outspoken Irishman was the biggest star in the UFC and certainly their highest earner. His recent defeat to Nate Diaz, and his subsequent withdrawal from the rematch means his future is very much up in the air, certainly when it comes to the UFC. Two other options are available to him however. He has recently sparked debate after following several prominent WWE stars on Twitter, a medium he also used to suggest that he could well be up for fighting Floyd Mayweather. Whatever he decides to do, whichever type of fight he chooses, such a high profile name will mean it will be far easier for others to follow suit, something that can only be a good thing for all three sports.